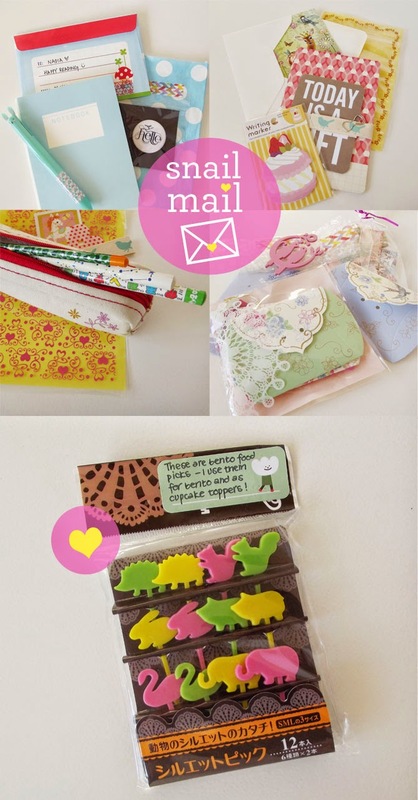 This delightfully interesting package is from Nadya and isn't it just wonderful! The piece de resistence are surely these bento food picks! I'm so happy to add them to my pretty things collection. I've kept it all together and untouched until I could take some photos and now I can finally dive in. I hope you enjoyed seeing this package from a very special penpal. Too adorable! Such lovely stuff to get in the post. Thanks for your comment. It's really lovely and sure beats bills!